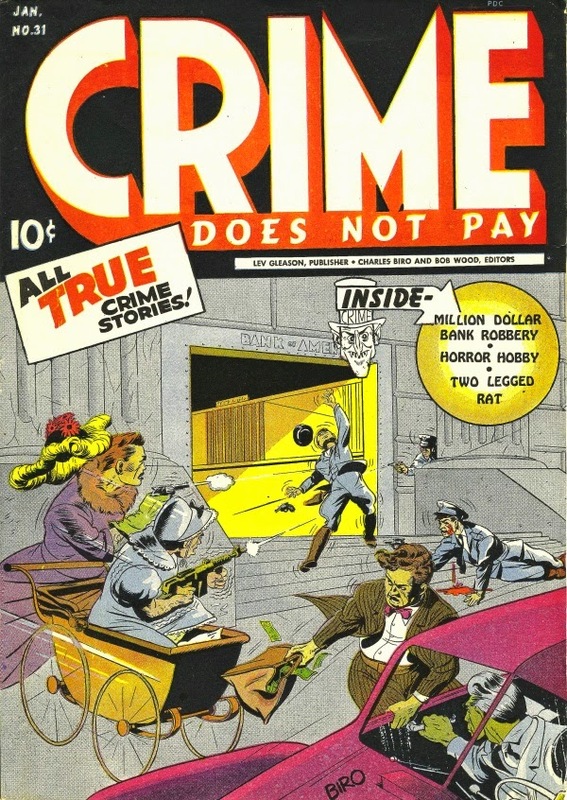 Earlier Crime Does Not Pay covers HERE. 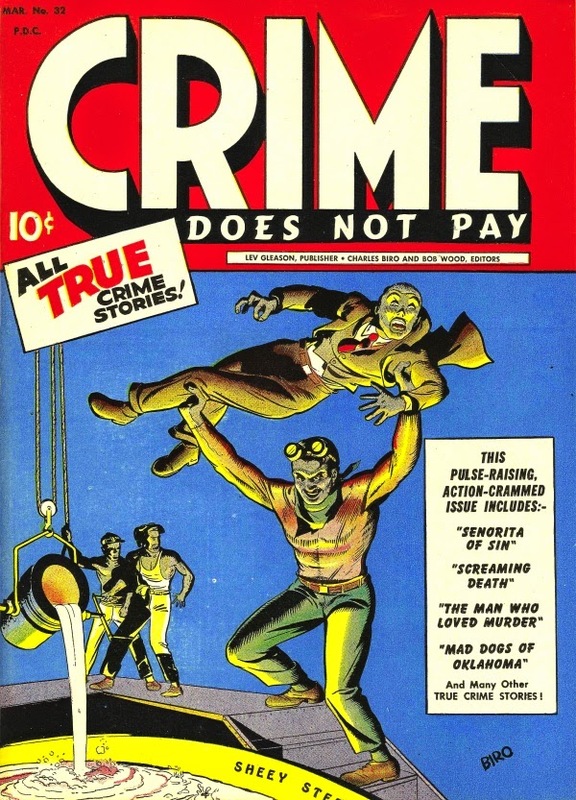 Five hanging men on one cover. Call Dr. Wertham! It must have been very popular, because it begot a slew of imitators: Crime Can't Win, Crime Must Lose, Crime Must Pay the Penalty, etc., etc. 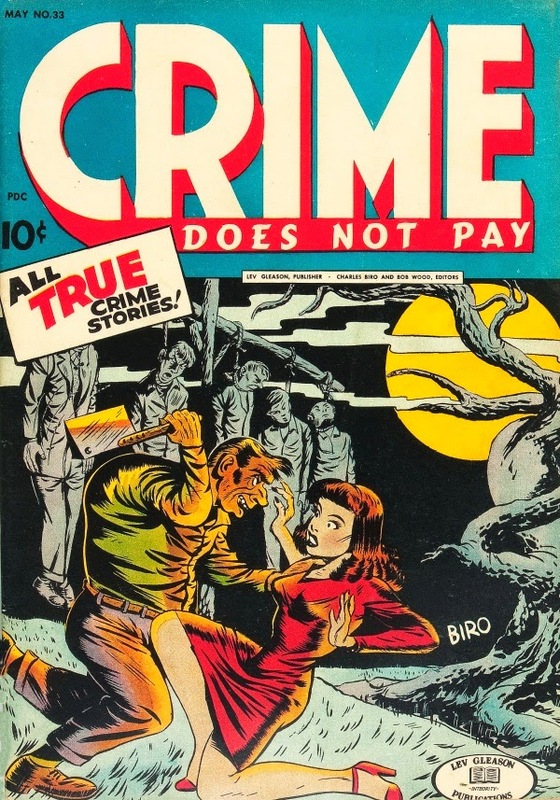 All with the word "crime" in much bigger letters than the rest of the title. Even EC jumped on the band wagon with Crime Patrol and War Against Crime. Which later morphed into Tales From the Crypt and The Vault of Horror.